The Senior Innovation Specialist serves as a Blue Prism Senior Developers within the Blue Prism Innovation team focused on creating automation models and integrations to enable digital and technology innovations to solve complex business and technical challenges. This position will provide the on-hands process/object creation of digital assets by working closely with the Technical Innovation Manager to deploy transformation projects with portfolio and enterprise impact. 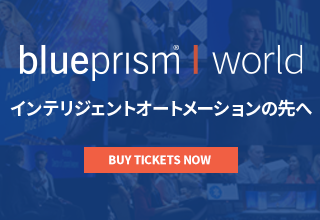 closely collaborating with other key Blue Prism stakeholders, as well as cross-disciplinary leaders and teams within Blue Prism partners and ecosystem. This position will review the technical requirements and model/build/test new digital assets that impact future state architectures for emerging enterprise initiatives/programs. The role will collaborate and work across multiple business functions to design and develop enterprise direction, integrations, and future state architecture. Ability to formulate evaluations for approaches, lead discussions in scope / out of scope, demonstrate capabilities through proof of concepts/value (PoCs/PoVs) and technology explorations. This position functions as an Automation Specialist role working with all levels of the organization to develop an overall architecture strategy and providing deep technical knowledge throughout the project lifecycle. Ability to support / direct contract staff who may be assigned to assist in the solution architecture development process is required. The successful candidate will work with platform architects, data management, security architects and infrastructure functions to develop end to end enterprise solutions. This position will contribute to delivering digital asset prototypes/products in response to enterprise business priorities for Blue Prism. 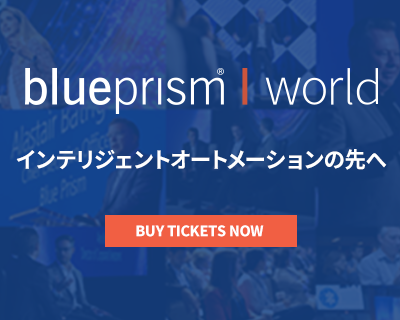 Advances technology innovation by delivering new thinking and transformative experiences to solve difficult and complex business challenges for Blue Prism. Strong Blue Prism automation skills that inspire team confidence and respect. Proven ability to build and foster relationships. Solid ability to manage multiple stakeholders and influence the direction of product design & development. Deliver end to end solution architecture for all assigned projects by working across multiple business functions to define future state and gain consensus. Collaborate with business functions to define and gain consensus through POCs on the future state application scope. Own Blue Prism automation strategy and best practices, planning and delivery perspective for responsible initiatives/programs. Technical delivery consultant for application project teams by partnering closely with the other technology groups to develop the end to end solution architecture including application, data, integration, security, and infrastructure domains. Implement Next Generation Architectures (Cloud, Micro Services, Serverless, etc.) that will enable applications to provide high availability/performance, seamless integration, and user-driven reporting/analytics. Strong written and verbal communication skills with the ability to create and present concepts and recommendations to others outside of the department and to executive management. Participates in vendor (RFP) and selection processes for new IT systems and enhancements. Conducts business unit architecture and innovation planning and road mapping responsible initiatives /programs. Oversees digital asset development, risk analysis, and mitigation planning. Develops system improvement plans and sustainability frameworks. Experience leading projects to deliver against major initiatives. Blue Prism Professional Developer & Solution Designer Accreditations HIGHLY DESIRED. Collaborate with Innovation Team and provide on-hands delivery of digital / technology insights & assets, strategy and innovation recommendations for highest priority business initiatives. Identifies and evaluates opportunities to prototype solutions; provide detailed functional/technical reference architecture and operational implications of the new opportunities. Develops and champions innovation tools, methodologies, and approaches to cultivate ideas and opportunities that are more diverse, unique, drive quality and speed to market.